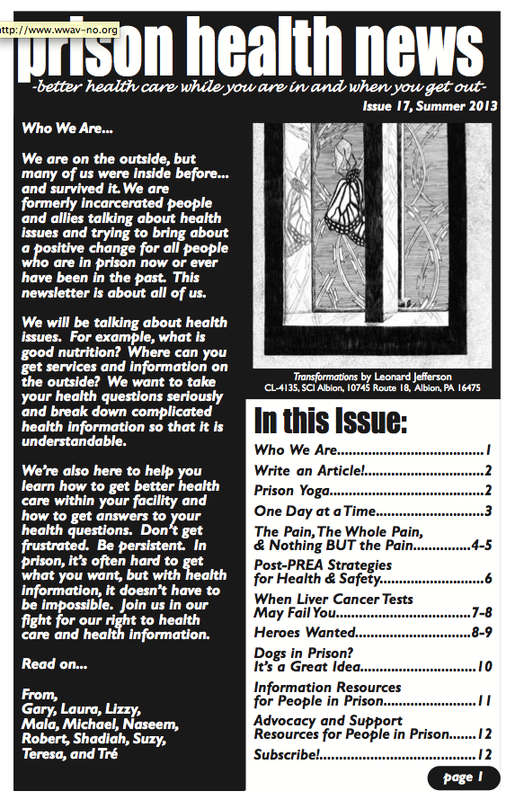 Prison Health News: Summer 2013 Issue! Prison Health News is a print newsletter read by about 5,000 people who are locked up in prisons and jails across the United States. It is produced by a Philadelphia-based collective of writers and editors and includes the work of imprisoned artists and writers. Our readers are living inside a system that denies them preve ntion tools and treatment information about HIV, hepatitis, and other health issues. They are dealing with medical neglect, daily humiliations driven by intense stigma, and the destruction of their communities by mass imprisonment.